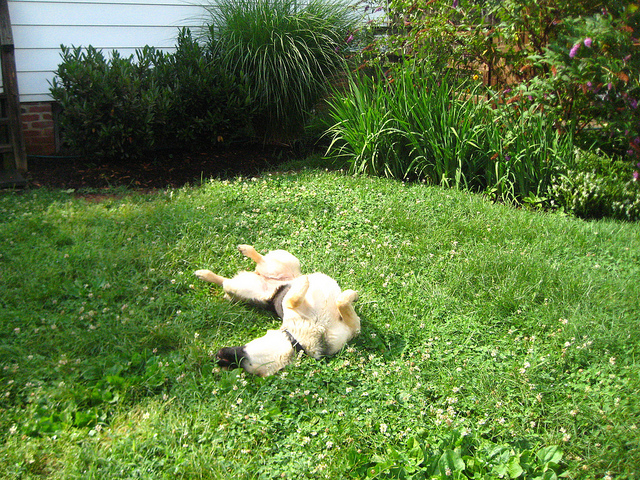 Pyrrha, rolling around in the yard. Pyrrha has found an excellent remedy to lift the spirits: Roll around in the grass! Preferably on a slug or something equally stinky! It will do wonders for your complexion and countenance! Pyrrha is so cute and funny! Also, I love the green dress you wore to the baby shower. You look gorgeous!